Let us see this good item! 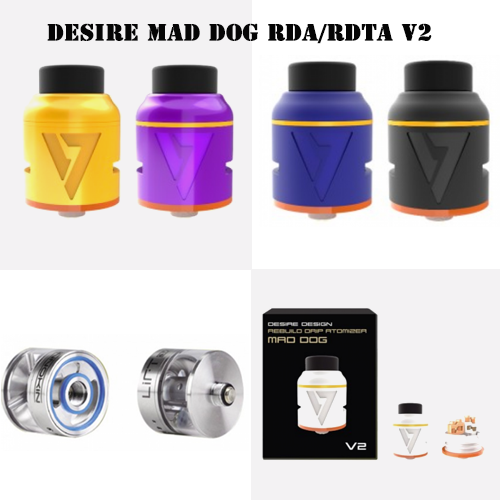 Here comes the Desire Mad Dog RDA V2! It has Standard Edition and Customized Edition. The Mag Dog V2 features side airflow with new heat insolation ring, preventing the heat in an effective way. The dual-post design with 2 holes in each post makes the building gand wicking easier than ever. Bid Discount From Efun.Top You Need To Know!